Looking forward to Rocking Out! 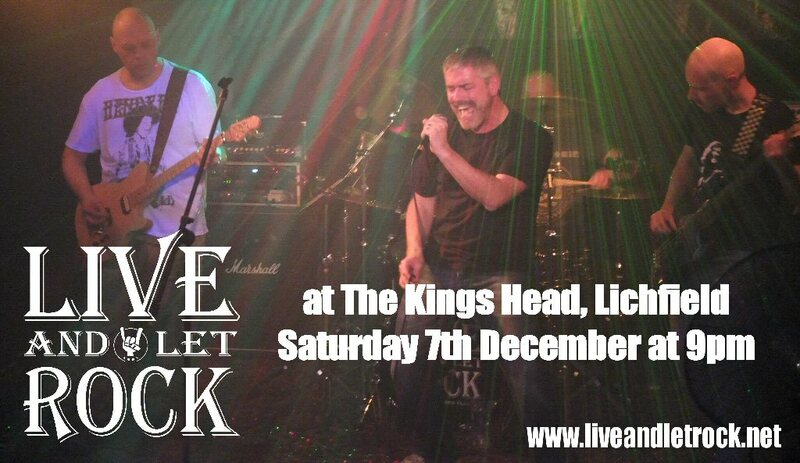 at the Kings Head, Lichfield on December 7th! to be revealed in the New Year. He’s going to be a tough act to follow for our new guitarist! Posted on November 13, 2013, in News. Bookmark the permalink. Leave a comment.